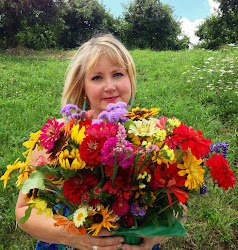 Random Thoughts of an OutLaw Educator: Grasshopper Jungle by Andrew Smith-- Oh, Lord! What a book! 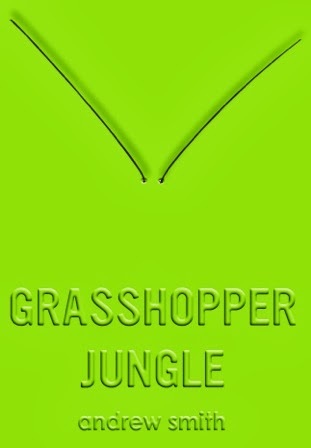 Grasshopper Jungle by Andrew Smith-- Oh, Lord! What a book! So opens possibly the craziest narrative you may have read to date, Andrew Smith’s “Grasshopper Jungle” (Dutton Books, $18.99, ages 16-18.) There truly is no better way to discuss this book than to get out of the character’s way and unleash his voice. Smith brings together the styles of Francesca Lia Block, Lewis Nordan and what can only be his own twisted soul in this story of science, evil geniuses, man-eating bugs and eternal libidinousness. Austin Szerba is the tenth-grade historian of Ealing, Iowa. Austin records his life, the lives of his neighbors and town in tall stacks of journals. His best friend Robby Brees is a funny, handsome gay classmate. And that is part of the story that Austin fills his journal up with: if Austin loves Robby and is attracted to him, does that mean he is gay? Even though Shann, his girlfriend since seventh grade, drives him to extremes of lustful fantasy at every second? Working in an antique shop called From Attic to Seller makes sense for a budding historian. One night, he and Robby decide to investigate the back room. It is not a good idea. A baby with two heads waves vaguely in a globe. Glow-in-the dark pulsating goo lights the dark. Most horrifically, in a large glass case, labeled “McKeon Industries 1969-Unstoppable Soldier-Strand 4-VG-12” float grasshoppers “as big as middle-school kids.” At the same time Robby and Austin stand slack-jawed and horrified in front of these things, a group of neighborhood bullies break in to steal things in the store. They smash one of the globes in the parking lot. And that is REALLY not a good idea. Passages like this build a world we might recognize, or if not, that we understand. Smith writes with a poetry that celebrates and clarifies how a teenager might see a crumbling town filled with crumbling people. But routine crumbling has not yet begun. 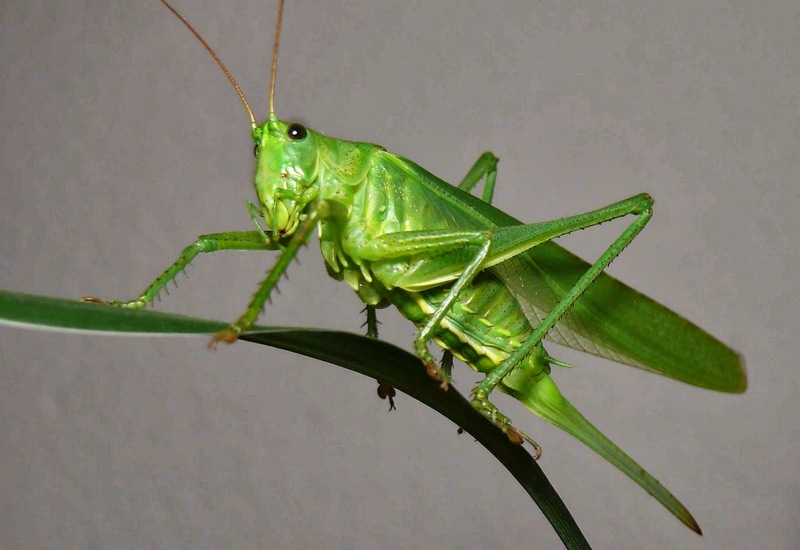 When the smashed globe unleashes Unstoppable Soldiers—that is, bullet-proof six-foot tall grasshoppers, voraciously hungry and profoundly ready to reproduce—they begin noshing on townspeople. That’s when Robby, Shann and Austin find Eden, a generously appointed time capsule from the 1960’s. Created by the evil genius responsible for the mysteries of the back room of Attic to Cellar, it is meant to house New Humans after an apocalypse. What an interesting situation for a teenage historian! What a complexity of past, present and future! Austin’s mind is a stew of Polish history, his family’s lineage, his dog Ingrid, his lust and love for both his best friend and his girlfriend, cigarettes, prehistoric paintings, Saint Kazimierz, and his mother’s tranquilizers. As chaos grips Ealing, Iowa, Robby, Shann and Austin must build their own history, their own definitions of themselves, and a future previously unimagined. Austin ends his narrative having learned a profound truth about the nature of historians and history itself. For brave-hearted souls undisturbed by mature themes, this book is highly recommended.